Inspiring collection of images taken by English photographer, Andrew Whyte, taken for his 365-day project. 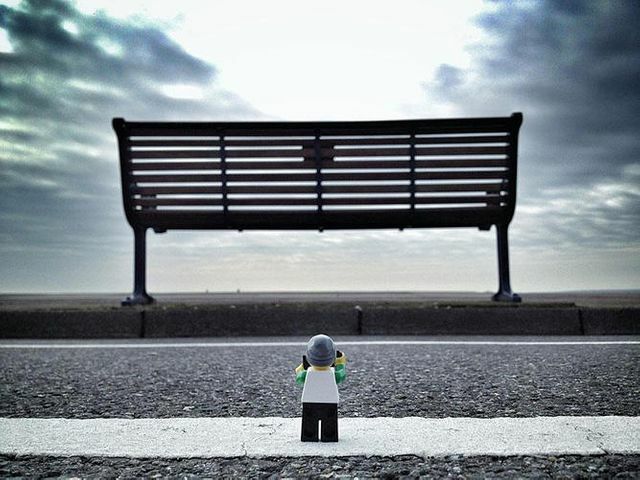 His new photo series entitled “The Legographer” shows the world through the lens of a tiny lego photographer. Impressive, not only from the point of view of concept but the fact that all the photos were taken by iPhone 4s. Yet another proof that is the photographic eye and idea that counts, not fancy equipment. These expertly composed photos, which Whyte took on his iPhone every day for a year, feature a Lego Man, rocking a Lego knit cap instead of the famous bowl cut, lugging around a Lego camera and taking pictures that we will never see. Despite his diminutive size, this little guy seems to have had some big adventures. Tak LEGO panáček už je pro focení moc provařenej, budu muset vymyslet něco jiného, než můj #LEGOTimmy http://t.co/navIqTXKc3 A nebo taky ne.